Apple updated its 9.7" iPad. We've already seen a deal for it, but you'll have to wait until July for better discounts. Apple recently dropped a new 9.7" iPad and called it their "most affordable iPad." That's a bit of a misleading description though, since it's the exact same price — and size — as the model that was released last March. The exception is for schools, which can buy the iPad for $299 instead of the $329 retail starting price. While we anticipated more hardware announcements at Apple's event, at least we did see this new device, which features support for the Apple Pencil tool and an A10 Fusion chip. 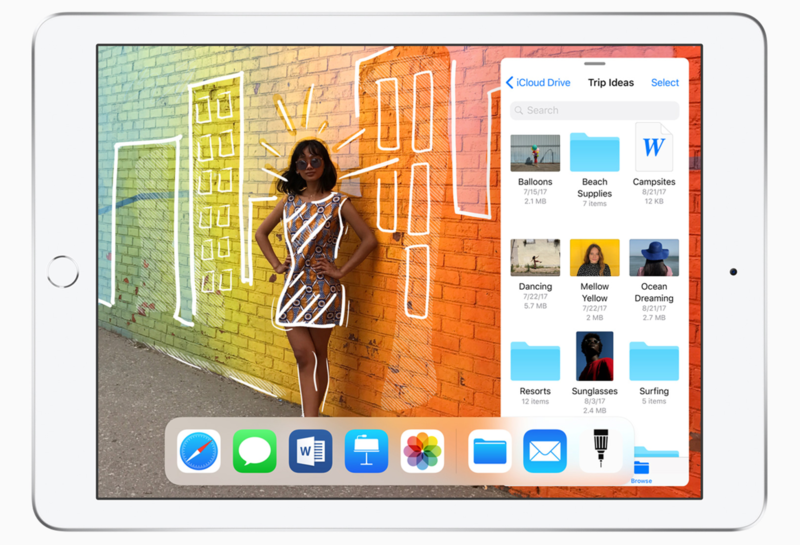 The iPad comes in 32GB and 128GB models, with three different finishes available. If you're interested in snagging the latest Apple iPad, read on to see when we expect discounts to show up. We've already seen a deal for the brand-new iPad at Best Buy. Shoppers had to pay full price, but also received a $25 gift card. It's the first deal we've seen and the best price so far. A new 9.7" iPad was announced on March 21 last year. By March 24, we'd already seen the first discount, as B&H Photo Video took $10 off preorders of the device. Best Buy also offered the $25 gift card bundle for that iPad, too. On April 7, Staples dropped the 32GB model from a starting price of $329 to $299, and was the leading contender for savings early on. It even discounted the 128GB model, dropping it from $429 to $399. The new iPad could drop by 9% in the next couple of months, lowering the starting price from $329 to $299. If you missed out on the first deal for the 2018 iPad, we wouldn't be surprised to see it take on another slight discount in the next couple of months. A 9% drop is completely reasonable, and would lower the starting price from $329 to $299 again. Be sure to check office supply stores early on, but when May rolls around, look to warehouse clubs as well. Deeper discounts kicked in about four months after last spring's iPad was released. Models dropped another $10, with Staples again leading the pack. Around Amazon Prime Day in July, Staples had the 32GB model for $289, which was the best deal we'd seen at the time. However, ShopRite dropped the price even further, to $270. SEE ALSO: When is Amazon Prime Day 2018? If you wait about four months, discounts should be more significant. Around Prime Day, many other retailers host excellent deals to try to compete with Amazon. If the new iPad follows the same trends as last year, we expect it to drop about 12% to 18%. That would put it around $270 or $289 for a starting price. Additionally, be sure to check Amazon's major competitors first. Look to stores like Best Buy or Target for notable deals around this time, as well as Staples. Deals from around $280 were popular over the summer, and then in September, we saw the iPad drop as low as $260 at Micro Center. Best Buy had it at $270 in October, and we saw the best prices — period — in November. During the month of Black Friday, the 32GB model fell to $250 at multiple retailers. The 128GB model also dropped to $350 during that time. We've seen prices fall that low this year, as well. If you can hold out until Black Friday, or even right after the new year, you're bound to save even more. This is when we'll see discounts around 18% to 24% off, which should cut the starting price by about $80. Readers, are you planning to grab the newest iPad? Will you buy now or wait for prices to drop? Let us know in the comments below. MicroCenter has had the new iPad for $30 off since it came out. In store pickup only and stock varying by location. I got my iPad 5th gen from Staples when it was $289 around May of last year and applied for a Staples credit card in store which came with a $50 statement credit so it was effectively $239 (the credit was applied before the bill came due). If you go this route you MUST apply for the card in store.